UNITED NATIONS -- More than 120 countries approved the first-ever treaty to ban nuclear weapons Friday at a U.N. meeting boycotted by all nuclear-armed nations. To loud applause and cheers, Elayne Whyte Gomez, president of the U.N. conference that has been negotiating the legally binding treaty, announced the results of the "historic" vote - 122 nations in favor, the Netherlands opposed, and Singapore abstaining. "We have managed to sow the first seeds of a world free of nuclear weapons," Whyte Gomez said. "We (are) ... saying to our children that, yes, it is possible to inherit a world free from nuclear weapons." "The world has been waiting for this legal norm for 70 years," since atomic bombs were dropped on Hiroshima and Nagasaki in August 1945 at the end of World War II, she said. Setsuko Thurlow, who was a 13-year-old student in Hiroshima when a U.S. nuclear bomb destroyed the city, said survivors "have worked all our lives to make sure that no other human beings should ever again be subjected to such an atrocity." "This nuclear ban treaty declares that these weapons are illegal, inhumane and illegitimate," she said in a statement. "It is the most important step in my lifetime towards the Hibakusha (survivors) goal of totally abolishing all these criminal weapons of mass destruction." Although there was reason to celebrate, the fact that all nuclear powers, including the United States, boycotted the negotiations takes some of the wind out of the proponents' sails, CBS News foreign affairs analyst Pamela Falk reports. None of the nine countries known or believed to possess nuclear weapons - the United States, Russia, Britain, China, France, India, Pakistan, North Korea and Israel - is supporting the treaty. Many of their allies also did not attend the meeting. In a joint statement, the U.N. ambassadors from the United States, Britain and France said their countries don't intend to ever become party to the treaty. They said it "clearly disregards the realities of the international security environment" and "is incompatible with the policy of nuclear deterrence, which has been essential to keeping the peace in Europe and North Asia for over 70 years." 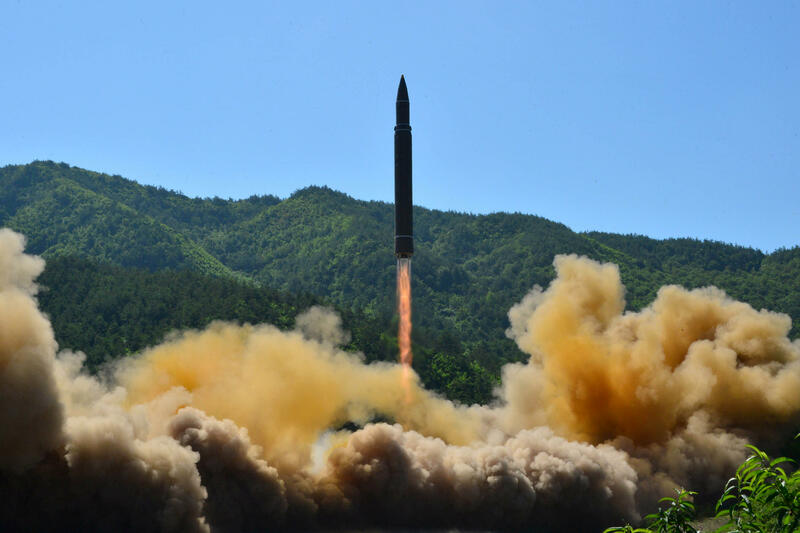 The treaty offers no solution to "the grave threat posed by North Korea's nuclear program, nor does it address other security challenges that make nuclear deterrence necessary," the three ambassadors said. A ban that doesn't address these concerns "cannot result in the elimination of a single nuclear weapon and will not enhance any country's security," they said. "It will do the exact opposite by creating even more divisions at a time when the world needs to remain united in the face of growing threats." That pact sought to prevent the spread of atomic arms beyond the five original weapons powers - the U.S., Russia, Britain, France and China. It requires non-nuclear signatory nations to not pursue atomic weapons in exchange for a commitment by the five powers to move toward nuclear disarmament and to guarantee non-nuclear states' access to peaceful nuclear technology for producing energy. All NATO members boycotted the treaty negotiations except for the Netherlands, which has U.S. nuclear weapons on its territory and was urged by its parliament to send a delegation. The Netherlands deputy U.N. ambassador Lise Gregoire-Van-Haaren told delegates her country couldn't vote for a treaty that went against its NATO obligations, had inadequate verification provisions or that undermined the NPT - and "this draft does not meet our criteria." Whyte Gomez, Costa Rica's U.N. ambassador in Geneva, said 129 nations signed up to help draft the treaty, which represents two-thirds of the 193 member states. She added that it will be opened for signatures in September and come into force when 50 countries have ratified it, and that its language leaves the door open for nuclear weapon states to become parties to the agreement. The treaty requires of all ratifying countries "never under any circumstances to develop, test, produce, manufacture, otherwise acquire, possess or stockpile nuclear weapons or other nuclear explosive devices." It also bans any transfer or use of nuclear weapons or nuclear explosive devices - and the threat to use such weapons. Iran, which signed an agreement with six major powers in 2015 to rein in its nuclear program, was among the countries that voted for the treaty. Its representative stressed the importance of the treaty's prohibition on threatening to use nuclear weapons. Palestine is recognized as a non-member observer state of the United Nations, and its ambassador, Riyad Mansour, said he was "so proud" to participate in drafting the treaty and voting to adopt it. Rebecca Johnson of the London-based Institute for Disarmament Diplomacy called the treaty "the first step to prevent a handful of militaries holding the world hostage with their nuclear arsenals." "We will use (the ban) to stop further nukes being made, used or deployed," she said. "We'll make it into a formidable lever to accelerate their irreversible elimination, weapon by weapon and country by country." North Korea's nuclear and ballistic missile tests, including its July 4 launch, have become a timely argument for proponents and opponents of the treaty to ban atomic weapons. North Korea said Friday its launch was "the final gate to completing the state nuclear force." A lengthy statement by the Ministry of Foreign Affairs also said its intercontinental ballistic missile is meant to overcome U.S. hostility, which it likened to a "mugger's mentality," and enable the North to "strike the very heart of the U.S. at any given time." The statement also called the country's missile an "unquestionable nuclear war deterrent." Beatrice Fihn, executive director of the International Campaign to Abolish Nuclear Weapons, said 15,000 nuclear weapons around the world have not deterred Pyongyang's nuclear ambitions and a new approach is needed, starting with prohibition as a first step. U.S. Ambassador Nikki Haley said on March 27 when talks began on the treaty that "there is nothing I want more for my family than a world with no nuclear weapons, but we have to be realistic." But she asked whether anyone thought North Korea would give up its nuclear weapons, arguing that Pyongyang would be "cheering" a nuclear ban treaty and Americans and others would be at risk.